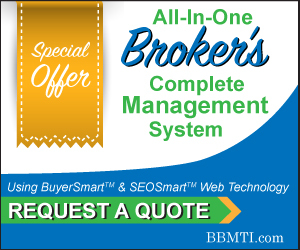 We've tried hard to build a bug free, very intuitive and easy to setup robust set of tools to help you be the best broker possible. But sometimes we realize what may be intuitive to us may not be to every one. So we've tailored frequently asked questions (FAQ's) and help documents to your specific needs. Select this online support service before contacting us because in 99% of the cases, we find our customers resolve their issue quickly using our FAQ's and help documents. But always feel free to call us as well at 800-576-3615.